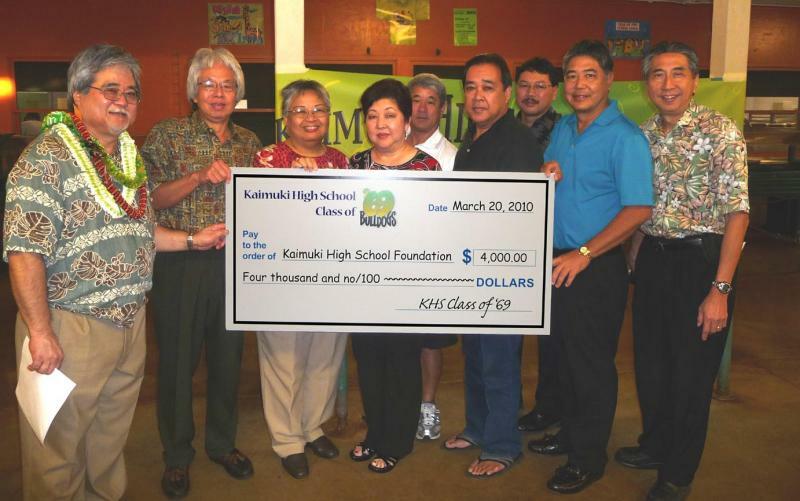 Kaimuki High School Class of 1969 - Mahalo Class of '69!! 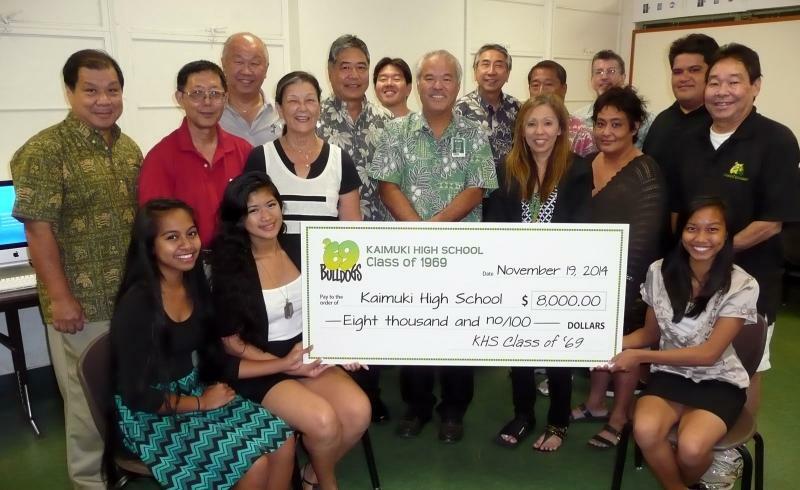 On Wednesday, November 19, 2014, representatives from our Class of '69 were honored to present a check for $8000.00 to Kaimuki High School to help support their Freshman Academy as well as their Culinary Program. 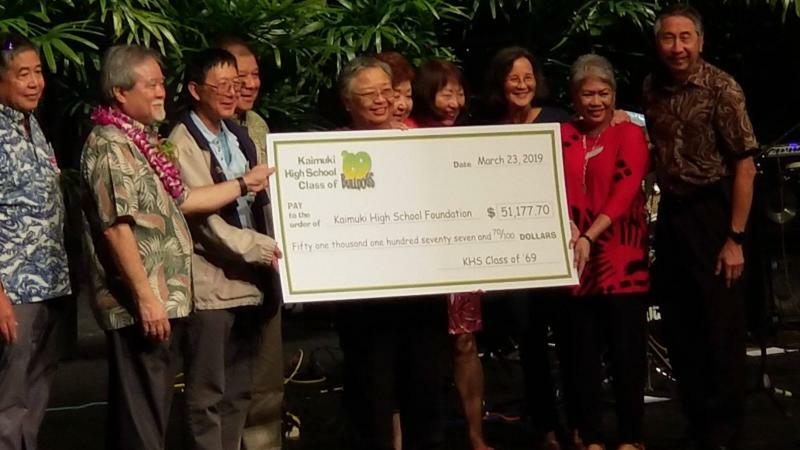 Thank you KHS Class of '69 for your generosity and support!